Three Hearts Just Broke! 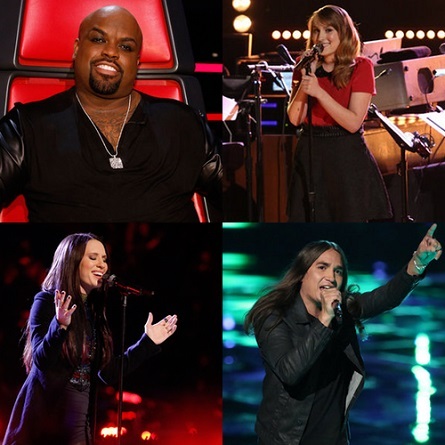 THE VOICE – Live Shows Night 2 and Eliminations Recap! Christina said “So consistent you were really accurate, great with your tone. Great job!” Adam told Jonny he loved his voice so much that he “really enjoyed it” and that he did a great job. Night three eliminations also revealed the final teams from Blake Shelton and Adam Levine whose artists performed on Monday night. All of the coaches had to make the difficult choice of saving their last, and third slot on their teams. For CeeLo it was Kat Robichaud. Blake chose to save Ray Boudreaux, Adam saved Will Champlin, and Christina’s pick was Josh Logan. 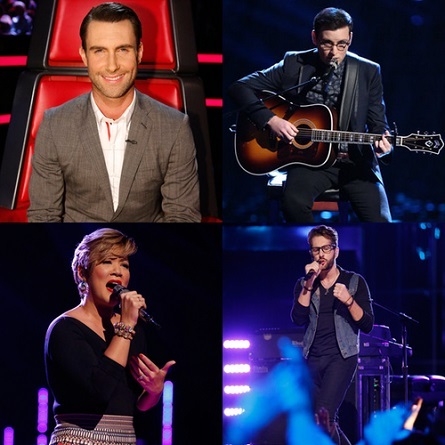 THE VOICE Team Adam (clockwise): James Wolpert, Will Champlin, Tessanne Chin. 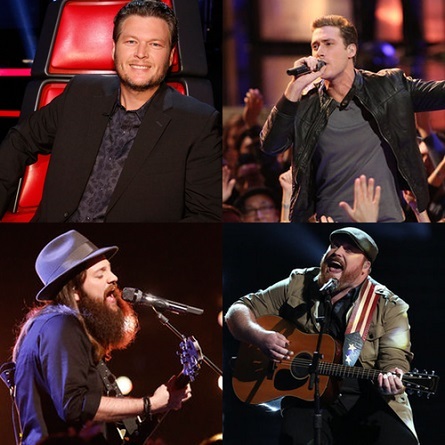 WATCH – THE VOICE Season 5 Episode 13-B “The Live Shows Premiere, Part Two” originally aired by NBC on Tuesday, November 5, 2013. 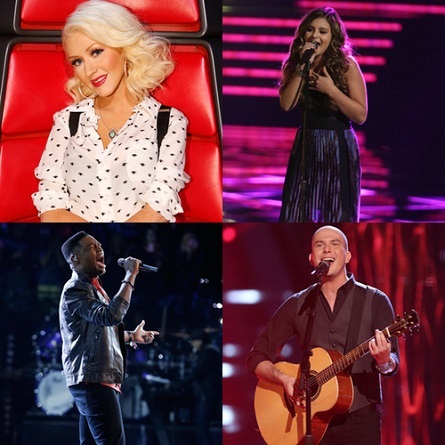 WATCH – THE VOICE Season 5 Episode 13-C “The Live Show Eliminations” originally aired by NBC on Thursday, November 7, 2013. UP NEXT – Check out all the highlights from THE VOICE Season 5 Episode 14 in our article A Dark Night On THE VOICE – Live Shows Week 2 Recap!